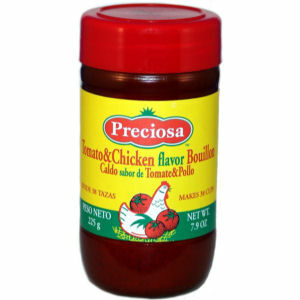 Preciosa Chicken and Tomato flavored bouillon is great for those cooking needs that require that chicken and tomato aroma and taste. This product if full of taste and quality. One jar makes 38 cups!